Beauty Therapy: Supermarket sleek? You bet! In all honesty, I’m not a natural supermarket beauty shopper. I’m more of a traditional cosmetics hall or apothecary-style environment aficionado. But I certainly wouldn’t claim that is smart thinking, not nowadays. 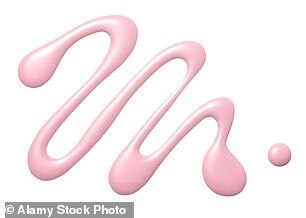 In fact, I’d say that I have been missing a trick – especially since I’ve discovered Sainsbury’s latest Boutique line of make-up. Firstly, this range is mostly vegan (the eyeshadow pencils and the eye primer do contain beeswax, so are the only exceptions). I am not a vegan, but I admire the stance of a major supermarket in making its cosmetics animal-friendly – a cause that’s becoming increasingly important in beauty terms. It’s also Leaping Bunny certified, which means that not only has the end product not been tested on animals, but neither have any of the ingredients. That’s some impressive box ticking. But even without all that, I’m impressed with two products in particular. My favourite is the Velvet Blusher (my shade is Pink Rose), which is only £3. It’s one of the best blushes I’ve ever used – especially in the lower price bracket when it can feel as though shimmer is about 90 per cent of the contents. Not with this, though. This is a cream texture and gives a subtle flush. It’s now firmly in my make-up bag. Also worthy of a gold star is the Contouring Palette (£5, both sainsburys.co.uk). The pigment is not intense, but that can be a good thing – it’s less easy to over-apply and end up with streaks. Simply build up the colour gradually for a natural-looking warmth. The packaging is not remotely plush – it’s cheap plastic that shuts with a snap rather than the reassuring click of something more swanky, and it won’t win anyone over for its looks on Instagram. But that’s almost like finding superficial fault for the sake of it. Whether you’re shopping online or in store, I’d be sure to put some of this in your basket alongside your broccoli. My name’s Edwina and I’m a candle-aholic. Yes, I love a sweet-smelling flame. But here’s a truth that many brands would like to go unacknowledged: Aldi’s candles are good stuff and cheap as chips. They may not look as beautiful as the luxury versions, but they burn well and smell gooood. 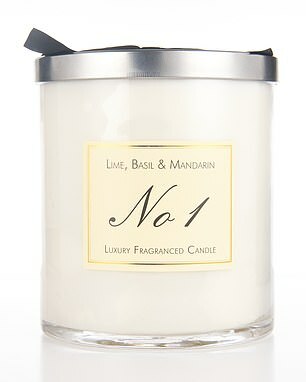 And this Hurricane Gift Candle comes in Lime, Basil & Mandarin (£19.99, aldi.co.uk from 6 December) – sound familiar? It’s all natural…butter me up! 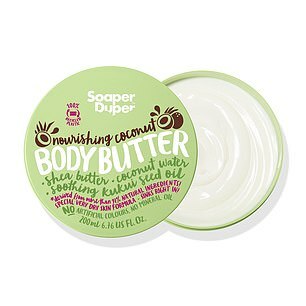 It isn’t a supermarket-own brand, but Soaper Duper is sold at Tesco and is a beauty brand founded on eco credentials. It contains no plastic microbeads, parabens or phthalates, and the packaging for the Nourishing Coconut Body Butter (£6.50, tesco.com) is made from 100 per cent post-industrial recycled plastic.